The first year of college is full of a lot of firsts. For Brittany, she had no idea that she’d be meeting the man she would soon call her husband. Her roommate was a friend of Brandon’s in high school and introduced the two of them when he came to visit for the weekend. Brittany and Brandon hit if off immediately. We spent the entire nigh talking, laughing, and dancing. When we left the bars that night we headed back to my dorm and stayed up all night getting to know each other. From there we exchanged phone numbers and talked nearly every night until he came down to visit again. The two of them dated all throughout college and pinpointing an exact moment when Brittany knew he was the one is hard for her. They encountered some bumps in the road during college, but knew they wanted to be together. The summer following my college graduation, we went to this place on campus called The Arboretum—full of beautiful gardens and a trail that you can walk. I think we walked that trail maybe 10 or more times that night. We talked, held hands, and just enjoyed the warm summer night. After that night we both really realized this was it. There was no one else that I wanted to spend an evening with just walking and talking. He makes everything so exciting and adventurous…I knew that’s how I wanted to live the rest of my life! I love Brittany’s laugh, her beauty, and her drive in life. I love how she’s always so put together and always sure of herself…. I love that she knows who she is. There are many things that I love about Brandon. One of my favorite qualities is his wittiness; he always knows how to make a crowd laugh without even trying! I am a very serious and organized person and he is constantly reminding me to live in the moment and to let my hair down every once in a while. I also love his curiosity—from writing music to making our cozy apartment feel like a home. Every year the two of them go ice-skating in Millennium Park and it is here that they share many special memories like the first time Brandon told Brittany he loved her. They went there for their traditional night out skating and while they were in line, Brandon went to use the bathroom…at least that’s what Brittany thought. He was actually coordinating with the staff for a very special surprise. Once we were let in, we put on our skates and hit the ice. After about 20 minutes or so, they cleared the ice so that they could bring out the Zamboni. Brandon hung back a bit and I was about to make my way off the ice. He told me to wait. The speakers started playing the song “One For My Baby” by Frank Sinatra (the same song that played when he told me loved me), at that point I knew that something had to be happening. Once the ice was cleared, Brandon led me to the center of the ice—it was there that he asked me to marry him! Of course I said yes! It was so amazing to have everyone cheering for us and congratulating us. Once we got off the ice there was another surprise—Brandon had arranged for our best friends to take pictures and videos of the whole proposal! It is really a night that we will always remember. He certainly made his proposal so meaningful and special! I am a lucky girl! Brittany and Brandon had three appointments to see different venues in one day. 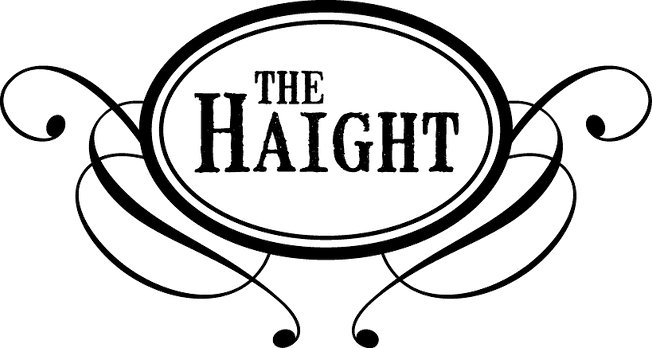 They weren’t huge fans of the first one but the second was The Haight. Once we walked in, we both looked at each other and said, “This is it!” We loved the rustic look and feel that the venue had. The exposed brick and wood floors were exactly what we wanted for our wedding style. After meeting with Briana, we called to cancel the third appointment and booked our wedding that day at The Haight! The staff made planning a breeze especially as we got closer to the wedding day. Brittany couldn’t narrow down her favorite part of the wedding day, instead she named three very special moments. 1. The first look. I had a bit of stressful morning and the moment I finally got to see Brandon and it was just the two of us, I felt so relieved. He looked so good and everything that was stressing me out just didn’t matter anymore because he was there. 2. Reading our vows. I was so happy that we decided to write our own vows for each other. Brandon went first and at the end of his vows he predicted that I probably had mine typed up and ready to read. It made everyone laugh when my maid of honor passed me my “script.” It was the perfect representation of who we are as a couple and also how well he knows me! 3. My third favorite part of the day was when we snuck away to have a few minutes to ourselves during the reception. It was so peaceful knowing that our guests were having a good time upstairs and we could just sit back and have a moment to ourselves. My favorite part of the wedding was seeing Brittany in her dress for the first time. She looked so perfect and it made me love her even more. Their advice for newly engaged couples? Two things. One, make sure you don’t lose yourself in the planning. It can get overwhelming so make sure to take a break and remember that what is most important about your day is that you get to marry the love of your life! Two, if you want to do a lot of DIY projects for your wedding, START EARLY! It may seem like you have all the time in the world, but that time flies by. Don’t be afraid to delegate to family and friends! You will thank yourself later!